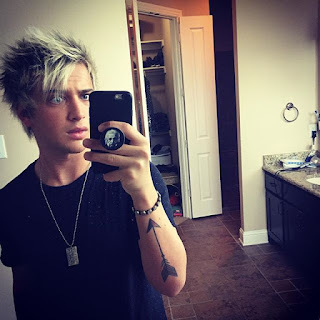 Anyone who watched the final season of American Idol will recall Dalton Rapattoni, the blue-eyed, blond-haired, baby-faced, guy-liner-wearing rocker who took third place in the show's final competition. Dalton was memorable for his unconventional delivery of surprising song choices, like show tunes "The Phantom of the Opera" and "Hopelessly Devoted to You," which he performed in his own unique style. In fact, the judges came up with a new word for Dalton's take on each week's song: "Daltonized." Here's the thing about Dalton, and about many of Idol's top contestants over the 15-year run of the show: He was imperfect. Sure, he's cute, and he's got a great look for the stage. But he didn't have the chops of season 15 top two performers La'Porsha Renae or Trent Harmon. Not even close. And as Simon Cowell used to remind us (frequently), "This is a singing competition." But no, singing ability was not the top concern of the judges or the millions of fans who voted each week. Guess what people were voting on (besides the singing): Connection. Ah yes, there it is again. But what Dalton and others demonstrated was that a performer who doesn't necessarily have the best skills can overcome those limitations with personality and connection. As Keith Urban said after one of Dalton's performances: "I'd always take an inspired attempt over soulless perfection any day of the week." What are your limitations as a speaker? You're not as funny as the next guy? Your stories could use some work? Your knowledge still has some holes? You're still gaining experience and don't come across as polished as some others who've been in the trenches longer? These things are all fixable. You have plenty of time to grow and improve as a speaker. Keep working, keep reaching, keep blossoming. And in the meantime, your #1 goal is to be real, to be 100% YOU, and to connect with the audience in your own genuine style, with your own genuine personality. There's not one speaker, singer, musician, politician or performer who benefits from exhibiting "soulless perfection." And your audience certainly doesn't benefit. Nor will they respond emotionally to your robotic flawlessness. But an "inspired attempt?" Yes! Let's all seek to be inspired when we perform, and to inspire our audiences to take action in the process, by being true to who we are and fully embracing that person. P.S. I'm a little sad to realize that this is probably my last ever American Idol-inspired post. AI has been a great inspiration to me over the years, providing numerous examples for connecting speakers with principles of performance. Thanks to all the judges and performers for showing us what works and what doesn't (and what REALLY doesn't) on stage, and how to emotionally engage our audiences.